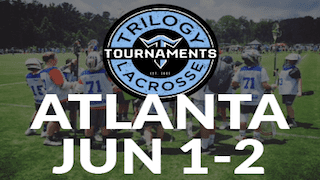 The Trilogy Atlanta Tournament will be held June 1-2, 2019. The tournament is for boys ages U-9 to high school. The high school tournament will be held at Kennesaw State, while the younger ages will be held at Noonday Park.